As first you should choose the right versioning strategy. In this sample I’m using the standard Major.Minor.Build.Revision approach, where the last two numbers, Build and Revision are set by TFS during the build. Next i will setup the Automated Build and call NuGet.exe to create and publish NuGet package. "C:\Program Files (x86)\NuGet\nuget.exe" pack "$(TF_BUILD_SOURCESDIRECTORY)" -OutputDirectory "C:\Nuget Packages"
As you can see I didn’t provided what to exactly should be packaged. This is easy to explain: per default NuGet.exe is searching appropriate project file, like .csproj and I included the folder where NuGet should searching for. 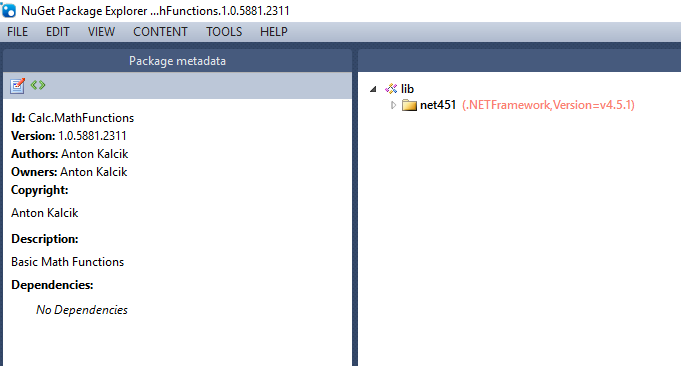 Because I’m using .csproj file to generate NuGet, all information and dependencies would be recognized and set. This is nice, fast and in most cases appropriate way to provide NuGet packages. But there will be times, especially in large teams, where you would need to provide interim revisions. This is where NuGet packager don’t provide easy way to do it automatically and it can be good reason for this, but, still I will show you the way to achieve this. 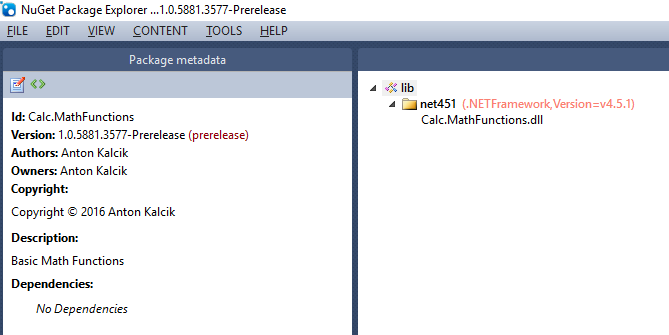 Interim revisions or prereleases are NuGet packages where version info is followed by arbitrary string. $nugetExeParameters = " pack -OutputDirectory `"$($publishNuGetToFolder)`" -Verbosity detailed"
$nugetExeProperties = " -Properties Configuration=Release``;OutputPath=`"$assemblyOutputPath`""
$nugetExeCommandToExecute = "$fullPathToNuGet $nugetExeParameters $nugetExeProperties"
"C:\Build Scripts\CreateAndPublishNuGetPackage.ps1" -pathToProjectFile "$(TF_BUILD_SOURCESDIRECTORY)" -publishNuGetToFolder "C:\Nuget Packages" -assemblyOutputPath "$(TF_BUILD_BUILDDIRECTORY)\bin"
This script won’t win Miss Universe because I’m not very experienced PowerShell developer. I was most of the time disturbed by the fact that there are probably thousand ways how executable can be invoked. But this is another story. Next Entry Am I going to leave Windows Phone? I don’t know.